Helping You Keep Your Home Safe, Dry & Energy Efficient! We are elite roofing experts, collectively serving La Jolla and surrounding areas. We have established ourselves as a trusted leader in the home improvement industry, bringing together a vast collection of expertise and experience. Getting your roof replaced or remodelled has never been easier! At Green Living we are committed to helping you achieve the home of your dreams on a budget that looks just as good! Please contact Green Living for a copy of our Platinum Protection Warranty, the best warranty in the industry! The Owens Corning Roofing System’s cutting edge green technology will not only look beautiful, but can significantly reduce your energy expenses. Provide the highest quality products that will fit your budget. When you hire Green Living Inc., you are hiring a firm that offers all your roofing needs in one place, be it remodelling your roof or a complete roof replacement. In the past, homeowners had to find a remodeling contractor to make the design happen. We offer one point of contact for your design and remodel. Our experts are fully integrated to ensure your vision is met from concept to completion! Each roofing project is closely followed and coordinated by a project manager who will be available at all times to assist you and provide progress updates. We have developed a network of trusted vendors, all of whom know our high standards and are capable of providing the quality we demand. During the installation process – whether roof remodel or a complete roof replacement – we will provide an itemized description of the project and all its stages, as well as progress updates every step of the way. In addition, a realistic date of completion will be set, and we guarantee to finish your project within that time frame. Contact us to learn more about our roofing services or schedule an in-home consultation. We will assess your roofing requirements and provide you with a plan of action. Once everything is finalized, we will get right to work on your roofing project! Whether you’re building your ideal house from the foundation up or are considering making a necessary upgrade to your existing home, the look and function of your roof can have a dramatic impact on the overall aesthetic and performance of your home’s exterior/interior. While replacing or remodeling your roof can seem like a costly endeavor, at Green Living we’re committed to helping you achieve the home of your dreams on a budget that looks just as good. 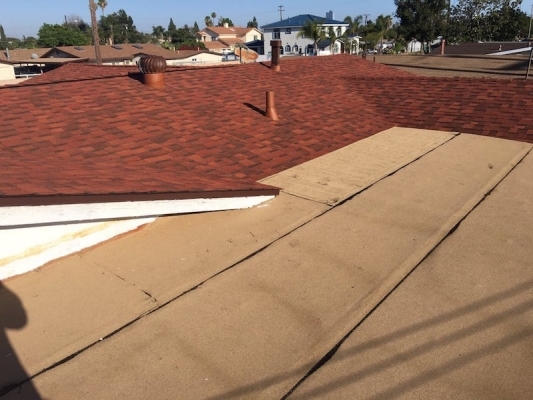 There’s a reason our customers think we’re the best roofing company in Southern California. No one wakes up in the morning wanting a new roof, but in reality a roof is the most important part of your home. Not only does a good roof protect your biggest investment from the outside elements, it ventilates your home and helps maintain a healthy living environment. Out of all the different roofing manufacturers, we have aligned ourselves with the only company who brings together quality and longevity at a reasonable price. Owens Corning is the largest manufacturer for roofing materials worldwide. Our vision is to offer the HIGHEST QUALITY PRODUCTS and the most EXCEPTIONAL SERVICE. This attention to detail is what our customers have come to expect from us, and to exceed our customer’s expectations. Our team is hand-picked based on knowledge and experience, only so that the customer can have the best possible experience. Professionalism aside, everyone that works for GreenLiving is considered family and we treat both each other and our customers like we would our best friends. It takes all of us together to achieve what we're trying to do, which is to make a small difference in the world, one home at a time. "Thank you so much green living! My roof came out above my expectations. Ryan was a pleasure to work with. He was so nice and actually cared that things went right!" Hundreds of people are happy with our services! "I am very please with my new roof! Thanks Green Living for great job in a short time!" "I'm not one to write a lot of reviews but I felt compelled to after my Owens Corning roofing project with Green Living. I was referred to them by a friend and just like her, my experience was amazing from beginning to end. Very professional staff, crew, and representative (Kevin). Thank you so much! My roof looks beautiful and I would highly recommend." "We are very pleased with the roofing job that GreenLiving did for our home. The whole experience was good; From the day Doug knocked on our door, to when David came by to give us the quote, to financing it easily through the HERO program and the installation itself. We honestly had a bad experience with a contractor a few years back, so we were pretty weary of dealing with any others. I also didn't know very much about roofing or roofers. But what David showed us, as far as the company, the different materials and the way they actually install the roof, was very impressive, so we decided to move forward. 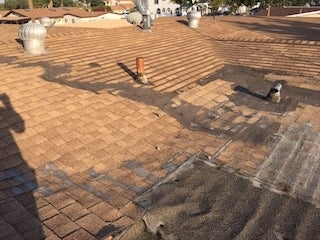 The roof was reasonably priced given the quality, but I'm glad we paid a little extra to get a great roof, and it's hard to beat a lifetime warranty on the labor too! Plus, it's energy efficient now, so I guess we're also gonna save money as well. We really did have a smooth experience with GreenLiving and we've recommended them already to my aunt."